Why See Korn and Alice in Chains? Formed in 1987, Alice In Chains rubbed shoulders with fellow Seattle bands Sound Garden, Nirvana and Pearl Jam as they rode the crest of the grunge wave of the 90s. Following the platinum-certified release of their debut album Facelift, they broke commercially and drew much critical acclaim with their sophomore effort Dirt. 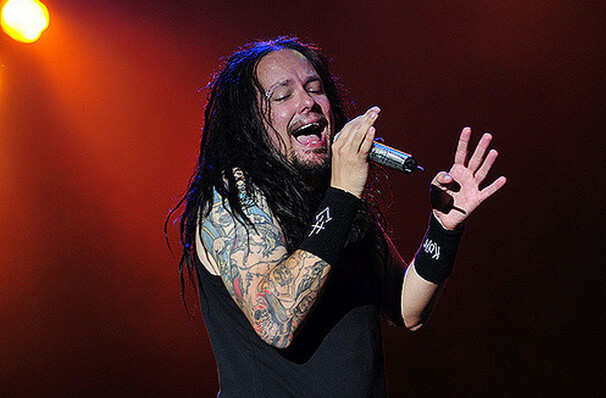 Their fuzz-laden angst paved the way for the post-grunge era of the early 2000s, when Nu Metal pioneers Korn dominated the alternative charts with classics like Freak On A Leash, Blind and Got The Life. Sound good to you? 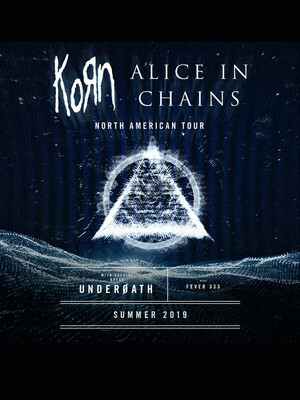 Share this page on social media and let your friends know about Korn and Alice in Chains at PNC Bank Arts Center. Please note: The term PNC Bank Arts Center and/or Korn and Alice in Chains as well as all associated graphics, logos, and/or other trademarks, tradenames or copyrights are the property of the PNC Bank Arts Center and/or Korn and Alice in Chains and are used herein for factual descriptive purposes only. We are in no way associated with or authorized by the PNC Bank Arts Center and/or Korn and Alice in Chains and neither that entity nor any of its affiliates have licensed or endorsed us to sell tickets, goods and or services in conjunction with their events.